After I graduated high school in ’99 in the Chicago suburbs, I moved to Chicago proper where there was simply more happening in terms of art, music, and culture. I would frequent thrift and vintage stores like Ragstock and Hollywood Mirror, where alternative magazines like Lumpen and Newcity exposed me to communist politics and early Chris Ware comics, respectively. To me, Newcity was everything urban and alternative, and as my new local magazine, it heralded a big change from the suburban newspapers touting the local high school band’s achievements. Years later, when I saw a MAPH internship for Newcity, my heart skipped a beat. Surely if I could intern for such an established, long-running magazine (25 years and counting), I would be a part of something important, gaining knowledge about publishing and Chicago alike. The Newcity internship is a little bit different from most of the other MAPH internships, especially in that there is no office to speak of. I worked at home or cafes mostly, which has its share of perks and drawbacks. Perks: home-cooked meals, pajamas, working at the beach. Drawbacks: not meeting the other cool folks working for Newcity, getting sand in my laptop. Even though the Newcity internship can get a little lonely from day to day, I have gotten to meet and interview so many interesting people, including film directors, published authors, and other Chicago folks with diverse stories and backgrounds. I’ve also worked at a couple of Newcity parties generously put on by the publishers Brian and Jan Hieggelke, where the movers and shakers of Chicago’s art and lit scenes gather to share drinks and ideas. Even though the Hieggelkes are busy people with lots of emails to respond to, they are approachable and encouraging. Brian met with me bi-weekly to make sure we were on the same page with assignments and to give me tips like: Always email the publicist—not the author—for a press copy of a book. But the location is not the only thing non-traditional about this internship. For a lot of different reasons, there are ebbs and flows in the amount of work available for interns. Although it is generally recommended to spend about 30 hours per week on your MAPH internship, sometimes that is just not reasonable for the Newcity internship—in one direction or the other. Also, since completed internship hours are sometimes based on what a Newcity contributor would get paid (e.g. ; $50 for an interview translates to five hours of work at $10/hr), there have been times when I put in ten to fifteen hours of work into a five-hour project since I am learning things from the ground up. Therefore, this internship in its current form might be best for someone who has other things on their plate or who wants to complete this internship in their off hours while working another job. For me, I am completing the rest of my internship while doing book reviews for another publishing company and looking for my next job. 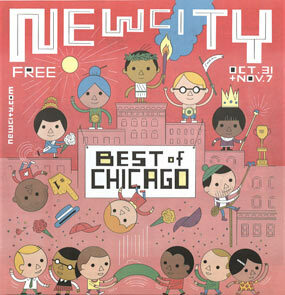 Besides meeting and interviewing awesome artists and other Chicagoans, what kind of work might you get to do at Newcity? 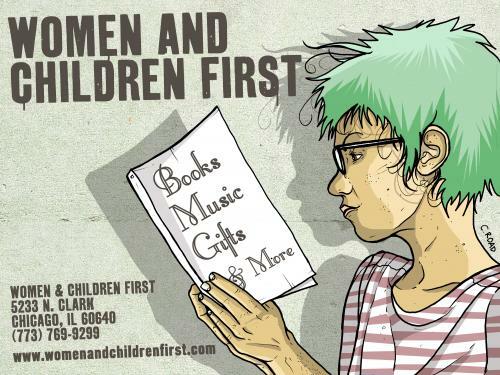 Well, I updated the Indie Bookstore Guide, researched and wrote up listings for the guide to Chicago Artists Month and the Fall Stage Preview, transcribed interviews for Brian (mostly because I love transcribing! ), and read and reviewed a screenplay for Newcity’s Chicago Film Project. I’m also working on a couple of articles of my own choosing—one on the history and future of Boystown, and one on the lingering legacy of video stores. It’s likely to be a fairly different internship each time as Maren Robinson from the MAPH office can attest to, and Brian will find ways to tailor the internship to your strengths. If you work well independently; are interested in publishing; and feel like a strong writer, researcher, people person, and/or lover of all things Chicago, this might the internship for you. If you have any questions about Newcity, the internship, MAPH, or Chicago, email me at brandiemadrid [at] gmail [dot] com. This entry was posted in -, Internships, Job Search, Publications on October 13, 2014 by lbryan.